Here is an original pressing of this well respected psych album for your consideration. This is a brilliant top notch guitar oriented psychedlic album that truly lives up to it's reputation. Not a bad track on this one. There still remains some confusion as to how to identify the original issue. While the fake copy is easy to spot, folks are wise to be careful. 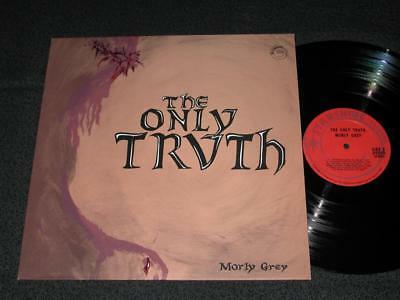 Please understand that Morly Grey were local to this area where I live, and I know the originals well. This one absolutely meets the proper criteria it should as an original. If you have any questions please feel free to inquire. Your satisfaction is guaranteed (please see my feedback profile). **There is a small abrasion on the paper of the A side label (please see photos). This record itself looks beautiful, and grades NM. **The jacket is in NM condition as well. **The poster is included, and also in NM condition.